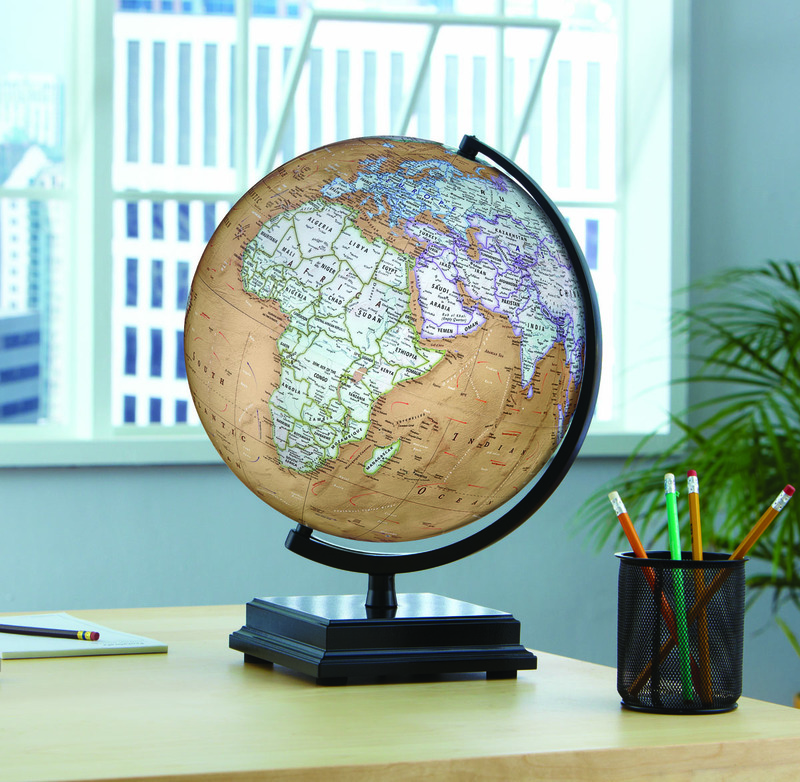 A Discovery expedition Cameron world globe is designed with a deep black lacquer finished wood base and metal semi-meridian mounting that gives it a stylish appearance thats idea for any decor. 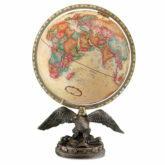 This model has a 12 inch diameter, an overall height of 16 inches, and colors and design styles that are unique to Discovery. 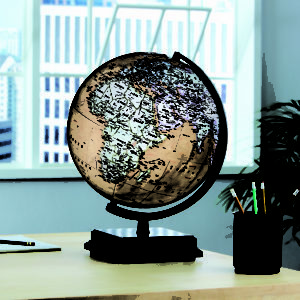 The Cameron features up-to-date cartography, easy to read names and places, shows political info and it’s perfect for travel planning or reference.